We've loved watching the evolution of workwear over the past few years due to all the new office-appropriate trends that have popped up. From the elevated button-down to the rise of culottes, the working woman is no longer cursed to wear simple blouses to her 9-to-5 every day. We owe much of the evolution of these trends to Ellery, a designer known around the fashion world for the way it takes classic and refined pieces and breathes life into them with dramatic new silhouettes. We also have Ellery to thank for a new trend that is (finally!) catching on with other designers—mermaid pants. 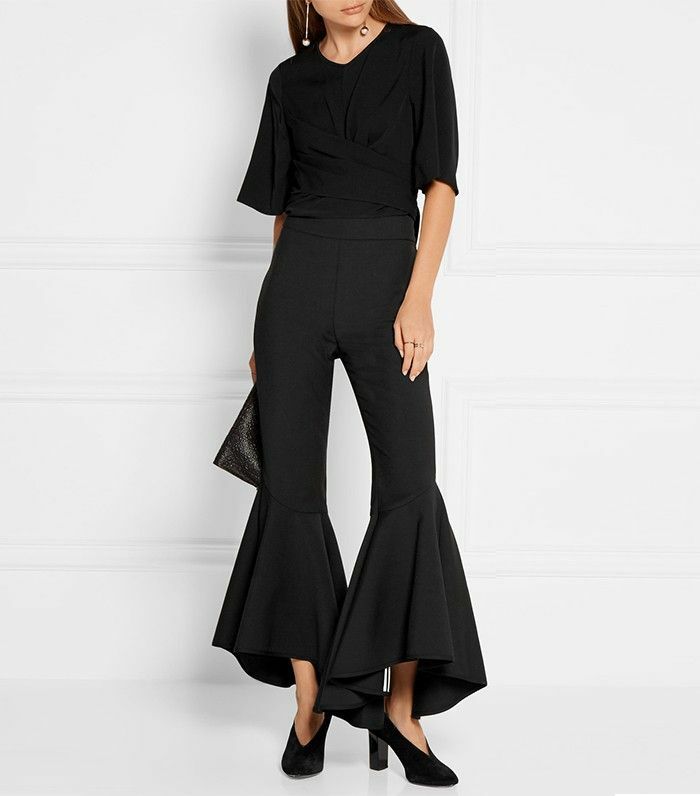 We call them that because these kick-flare trousers billow out in a way that's reminiscent of a mermaid tail. While Ellery was the brand that made the look famous, this is the first time we're seeing the style crop up in other collections at an affordable price point. We're definitely snagging a few pairs for ourselves as this trend continues to take off. Keep scrolling to shop a few of our favorite mermaid pant picks! How would you style this trend? Sound off in the comments below!